News Alert!! : Downtown Needles, CA: Volunteers needed for painting fence around cannon as part of the Santa Fe Park Veteran’s Memorial. 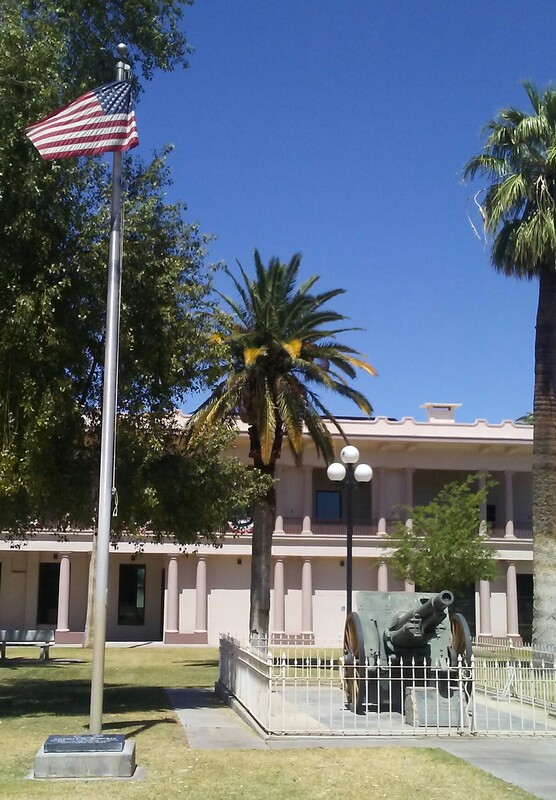 Volunteers are needed for painting of the fence around the cannon as part of the Santa Fe Park Veteran’s Memorial in Downtown Needles, California. The painting work will be held at 6:00am PT on Saturday, May 6th, 2017 at Santa Fe Park, located on the 900 block of Front Street near G Street, in Downtown Needles, California. Organizers of the painting project hope to see volunteers there helping to paint, making the fence and the cannon be presentable of the Run For The Wall event on Wednesday, May 17th, 2017. Work continues for the rest of the Santa Fe Park Veteran’s Memorial plans, continuing to raise money for the securing of the new plaques for WWII, Korea, Vietnam, and Mideast wars. The goal of all of the work, Retired Staff Sergeant with the United States Air Force Samuel G. Johnson III tells ZachNews, is to see the community have a place to honor and pay respects to all of our veterans who served in all wars, including World War II, Korea, Vietnam, and Mideast wars. If anybody who wants to volunteer in restoring the cannon or want more information on donating to the Santa Fe Park Veteran’s Memorial, please contact Samuel G. Johnson III at: 1 (512) 799-4827. Previous Breaking News!! : Washington, DC: United States House of Representatives passes a Republican health care bill replacing the Affordable Care Act. Next Traffic Alert!! : Bullhead City, AZ: Fender bender traffic accident on Arizona Highway 95.